Homerton College can trace its origins to east London in 1768, later becoming a teacher-training college before moving to Cambridge in 1894. It was granted a Royal Charter in 2010, becoming the newest constituent college of the University of Cambridge. The Charter Choir, founded to celebrate that change in status, is made up of around 22 choral scholars, choral volunteers and organ scholars, and undertakes a regular and busy performance programme. 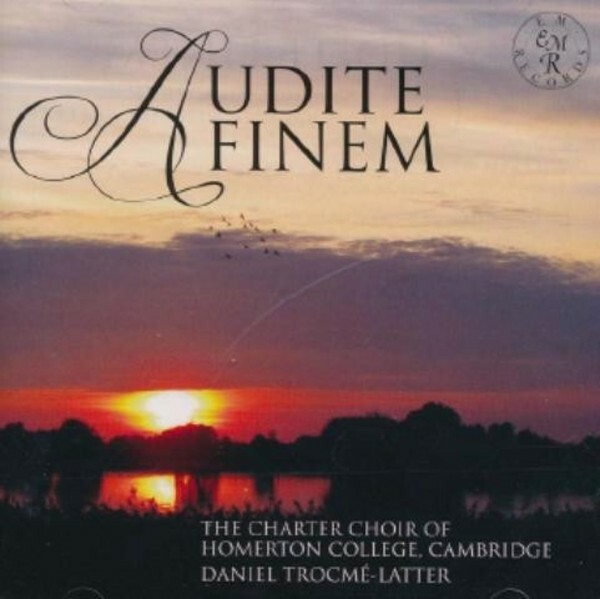 This CD includes music from the 17th to the 21st centuries, featuring a number of works written for Homerton or by composers associated with the college. Greta Tomlins lectured in music at Homerton; John Hopkins and Daniel Trocm�-Latter are current music Fellows; and Carol Ann Duffy (Poet Laureate) and Sir Peter Maxwell Davies (former Master of the Queen�s Music), both Honorary Fellows of the college, collaborated to write Homerton in celebration of the Royal Charter.